Our practice showed that each of our clients has her or his own needs and wishes, and that is why we also offer additional services and provide our clients with exactly what they need. As part of our quality assurance procedures, all our written translations, regardless of how small or routine they maybe, are proofread and formatted before delivering to our clients. This service is available regardless of whether we have originally translated the document for you or not. Our trusted and experienced proofreaders prepare documents using the "track changes" function within Microsoft Word. This function allows you to see all done changes, and accept any or all modifications proposed by the proofreader. Corrections, suggestions and comments are shown as well, and are easily included into the document. During the proofreading process, particular attention will be given to typos and grammatical errors, style consistency, formatting, and term accuracy - with constant reference to the original document. The result is a professional translation that can be trusted for publication and official use. Do you have promoting materials in a graphic format? Do you need a multilingual text with complex structure? Provide us with your requirements and needs and we will take care of everything! We work with experienced professionals who take care of the layout and design of all kinds of products such as books, magazines, digital publications, advertising printouts, brochures, logo designs, etc. We can supply the result in any format required, for you to go to print or to publish over the Internet, or supply your material printed as per your requirements. Our professionals, who are experts in all the fields required prior to the printing process, know what is required for the actual printout, and this allows them to adapt their productions from the onset to the characteristics of the final medium. Our designers work with Adobe Photoshop, Adobe Illustrator, Adobe InDesign, QuarkXpress, Corel Draw. Transcription means creating a record of the spoken word. Due to our many years of experience and working with various companies and organisations, we comprehend and appreciate the needs of our clients to create the ideal solution for their transcription projects and offer real and tangible advantages to their business. Our transcribers are professionals chosen for their linguistic skills and their expertise in specialised subject areas. We work with all types of digital formats (mp3, wav, avi, mpeg, etc.) and specialize in transcribing business meetings, conferences, workshops, interviews, academic lectures and legal court hearings. 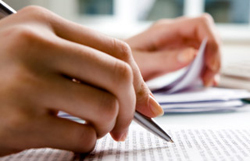 The format of the delivered transcript is in accordance with our clients’ needs and requirements. Subtitles are written versions of the dialogue of a film or other form of audio-visual material, usually displayed at the bottom of the screen. Thanks to our experienced multilingual subtitling team and the latest technology for subtitling, we are able to provide anything from a five minute media file to a full length movie with top quality. Our experts can translate audio and video material with ease, including movies, documentaries, interviews, reports, conferences and presentations - provided of course that the quality of the audio is adequate. We are able to deliver subtitles in a variety of different file formats to suit the needs of our clients. Subtitling is not just a matter of converting the words into another language - the key is to take the essence of a sentence and filter it into something directly comprehensible, while keeping the cultural sense of the original conversation. Otherwise, the viewers would get lost in the translation. Many viewers regularly complain that some parts are missing in subtitles. However, it is not possible to translate everything, since there is the limitation to a certain space on the screen and the fact that the viewer has to read and watch at the same time. The task of a subtitler is to shorten and adjust what is being said. The subtitler needs to decide which parts of the dialogue are significant and which parts can be omitted. If everything seems essential, the extremely creative and challenging part of the work is determining how to fit everything into one subtitle, limited to space and time.